The National Science Foundation (NSF) is considering changes to the operation of the Green Bank Observatory that could jeopardize the future of this iconic scientific installation in Green Bank, West Virginia. Below is the letter shared by TechConnect with the NSF in support of its continued operation. Public comments may be sent via email to envcomp-AST-greenbank@nsf.gov with cc to eis@gbobservatory.org. The subject line should read: Green Bank Observatory. Comments may also be mailed to: Elizabeth Pentecost; RE: Green Bank Observatory; National Science Foundation; 4201 Wilson Blvd. ; Suite 1045; Arlington, VA 22230. The deadline for public comments is November 25, 2016. On behalf of TechConnect West Virginia, I write in strong support of the continued full operation of the Green Bank Observatory in Green Bank, West Virginia and would ask that you share this letter with Dr. France Cordova and the entire leadership team at the National Science Foundation. TechConnect West Virginia is a coalition of professionals dedicated to growing and diversifying West Virginia’s economy by advancing innovation-based economic development and entrepreneurship. With members representing education and research, private industry, and the public sector, the organization serves as a forum and facilitator to enhance awareness, spur collaboration, and raise the discussion of issues needed to strengthen the state’s innovation ecosystem. We believe it is imperative to maintain and utilize the enormous investment by the Federal Government in the facilities at the Green Bank Observatory for both scientific and economic reasons. 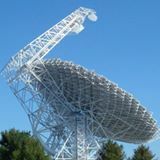 From the initial establishment of the National Radio Quiet Zone in 1958 and the construction of the Green Bank Observatory in 1960, the Green Bank site has produced a wealth of scientific knowledge about the nature of the universe. The Robert C. Byrd Green Bank Telescope, dedicated on August 25, 2000, has been called a “marvel of the space age” by National Geographic. It can do in hours what other radio telescopes take weeks to achieve, in terms of gathering and analyzing cosmic signals from distant stars and galaxies. The quiet zone is one of only two such places in the United States that allow for the type of research conducted as part of the North American Nanohertz Observatory for Gravitational Waves, or NANOGrav Collaboration, working to detect gravitational waves and explore pulsar timing in an effort to ultimately open a new window on the universe. Scientific experts working on the NANOGrav project have concluded that the Green Bank Telescope simply cannot be replaced by other telescopes in conducting this research because of accessibility, sensitivity and flexibility, and its location in a radio free quiet zone. As an inspiration to generations of students, the Green Bank Observatory has also contributed to the nation’s need for highly-skilled scientists and engineers. Most recently, the discovery of pulsars by high school students in the Pulsar Search Collaboratory has attracted worldwide notice, including the White House. As America competes across the globe to develop the next generation of leading scientists, the Green Bank Observatory must be positioned to continue to play a crucial role. While there is a cost to maintaining this state-of-the-art research facility, it represents a sound and significant investment on the part of the Federal Government on American soil. Supporting its maintenance in order to further scientific inquiries is responsible stewardship of taxpayer dollars. Because of its accessibility to the general public, the Green Bank Observatory has also led the way in educational tourism, providing a much-needed boost to the local economy. While it has been a tourism attraction since the state’s centennial celebration in 1963, that boost is needed now more than ever, as West Virginia’s traditional economy undergoes its most significant transition in more than a century. With an annual economic impact of $30 million, the Green Bank Observatory stands as a cornerstone of economic diversification in a state seeking exactly these kinds of solutions. We hope the nation will stand with the Green Bank Observatory and with West Virginia by continuing to offer the maximum support possible to one of the most unique scientific research facilities in the world. Rather than discuss the unthinkable potential closure of this national treasure, we urge our country’s scientific experts and elected leaders to work together to find a solution to not only preserve, but also enhance, the Green Bank Observatory.